Looking at the difference in melting points between HDPE and PTFE, the "improved" performance might be due to out gassing from HDPE as it is over heated. What is the temperature inside the device during a test run? No reported internal temperatures for NASA Eagleworks. Agree See, not sure we should give up on the thrust differences between HDPE and PTFE. All else being the same, why the difference? You or Doc might have some insight into the chemistry, but EM properties are what we're interested in. activity is more than 10 times greater than the reflection activity." It's Michelle, friends call me Shell. Yes, I love mixing and matching different fields. In the real world of building things that need to be used (my company and I built semiconductor equipment) they need to incorporate virtually all the arts and while you might not have a Phd in a subject you better know enough when someone on your design team is full of hockey poo and they are 3 and 2 at the plate (US Baseball term, 3 balls and 2 strikes). I'm reading a couple papers that are taking me into an idea of why we're seeing something unexpected in these slugs of material inserted in the cavity. Not sure if the two will dovetail into something useful or not or I'm 3 and 2 at the plate. Thanks for the heavy reading links I'll digest it all and post later. ...I'm reading a couple papers that are taking me into an idea of why we're seeing something unexpected in these slugs of material inserted in the cavity. Not sure if the two will dovetail into something useful or not or I'm 3 and 2 at the plate. Sorry 'bout the heavy reading. That was my brain cramp from yesterday, Shell. HDPE is super cheap and readily available. Its that white cutting board material you find in many stores, like this: http://www.ebay.com/itm/6-x-8-x-1-2-Thick-White-Plastic-HDPE-Cutting-Board-FDA-NSF-USDA-/281539165633 Doc said it was used in medical field as well; easy to sterilize and resistant to abrasion. ...HDPE is super cheap and readily available. Its that white cutting board material you find in many stores, like this: http://www.ebay.com/itm/6-x-8-x-1-2-Thick-White-Plastic-HDPE-Cutting-Board-FDA-NSF-USDA-/281539165633 Doc said it was used in medical field as well; easy to sterilize and resistant to abrasion. The advantage that HDPE is a linear polymer with very few branches is very important. This is because when advanced polymer processing technology such as hydrostatic extrusion is used, polyethylene chains will be aligned in the extrusion direction and hence high modulus and high strength materials can be produced. Paul answered a question for me back in mid April. The high density polyethylene discs dielectric's relative permittivity is 2.27 at 2.0 GHz with a dissipation factor of ~0.0005. So that is what Eagleworks used. After doing some more reading, it seems clear that Shawyer is only interested in resonance between the end plates at the frustum's effective electrical length, which depends on the integral of the constantly changing guide wavelength from one end plate to the other. Operational Rf wavelength is then some multiple of that effective wavelength. For non adjustable Rf generators, having the ability to vary the frustum length will allow operation at resonance. Here we need to fully understand, the physical end plate separation will not have a subharmonic relationship with the Rf generators wavelength. You need to develop a numerical model that calculates the guide wavelength, for the chosen mode, at discrete small increments along the cavity length and then integrate them into an effective wavelength for the whole cavity. As I want to operate in TM01 mode, as stated in Shawyer's patent and several of his publications, the big and small end cutoff wavelengths and the associated guide wavelengths (as in the quote) are different to TE mode. This recommended method which only focuses on length resonance, as mentioned in many of the Shawyer publications, seems to be different to what NASA and other have done, are doing. What this means is Shawyer is treating his frustum as a resonate cylinder that has variable guide wavelengths from one end to the other. His only interest in the radius or diameter is how it effects the guide wavelength and what the integral of all the constantly changing guide wavelength over the length of the cylinder is. Mother Nature dictates at what frequencies and mode shapes a truncated cone cavity will resonate at. The frequencies calculated by NASA using COMSOL FEA have been within a percentage of the actual measured resonant frequencies. Concerning mode shapes, the prediction of NASA's COMSOL FEA and my exact solution have both been confirmed by the thermal imaging measurements by Paul March clearly showing the cylTM212 magnetic field distribution that is predicted both by exact analysis and by FEA analysis. Unfortunately the ASTM rating does not provide the permittivity or dissipation factor. I also have a vague memory of someone saying that Sawyer used a T antenna parallel to the major axis of the fulstrum. That could be another interesting breadcrumb, which may lend support to TM01 mode excitation in the Flight Thruster. Does anybody have any other info as to Shawyer excites his Flight Thruster? That is all good, except Shawyer seems to excite his Flight Thruster as a TM01 same diameter circular cavity but with variable guide wavelength along the length axis, integrates to find the effective electrical wavelength and then uses an external Rf at a harmonic of the effective electrical cavity wavelength to gain resonance. Did EW do that to find the wavelength they needed to drive their frustum at effective cavity wavelength? From my calcs of the Shawyer frustum resonance procedure, the result is not what NASA or you predict, which may suggest using the external wavelength obtained as you indicated may not result in resonance with the effective guide wavelength and little or no thrust. Dude. DUDE. The resonance modes for a spherical tapered cavity are solved, analytically. They are exact solutions. There is no doubt to any of them. Many simple cavity shapes have been solved for decades, and all experimental data backs these solutions very well. This is what Rodal is trying to tell you. You cannot have a TM01 mode in any cavity. This is a waveguide mode. It is like saying 'I'm going to drive down the road at 100kph in my car, in the garage with the garage door closed'. It makes no sense. You can play semantic games and say it applies to infinitely long cavities, but that's just a waveguide. The way you ignore salient posts with basic enclosed scientific facts makes you look like a VX Junky, and people won't take you very seriously after a while. Not what NASA or I predict ? what prediction are you referring to ? Thought I was clear, but seems not. Calculating the external Rf wavelength that is needed to bring an Em Drive into end plate to end plate resonance. As EW didn't measure any thrust in their non dielectric frustum, my guess is that they did not drive it at the correct wavelength to gain end plate to end plate resonance. Shawyer has described how to do this. so why ignore him? All SPR cavities were designed using our in-house software which can cover a range of geometries and modes. I have no problems with you disclosing all your work, the more working EmDrives there are in the world the better. However I would be grateful if you could emphasise the dangers of working with high power, high Q, microwave devices before someone gets seriously injured. I'm just the messenger telling folks here what I have read many times and what Roger Shawyer has shared with me. Ignore him if you will but his and the Chinese EM Drives are working based on his knowledge. BTW he treats the Em Drive conic frustum as a infinite series of open circular waveguides, each with a different diameter, that cause the guide wavelength and group velocity to vary as per that diameter. Have you read what he says? Haven't seen anyone post this to the thread so far. Plus interview with the team leader. Excellent set of strategies these guys are using. In parallel they're doing a Shawyer/Chinese replication attempt @2.4 GHz, and also building a 25 GHz beast with the aim of popping it into a PocketQub and sending it into space (which one of them has already done with a different project). At that particular facility you can get up to 9 seconds of weightlessness and the capsule for your experiment can be a lot bigger than a PocketQub for example. It can be up to 0.8m in diameter and up to 2.4m in length. The vacuum inside the structure during the experiment is probably not of a high quality but nothing is stopping you from having an even better vacuum inside your capsule. Using a drop tower would allow for multiple tests with the same hardware with modifocations in between the shots if needed. I just wanted to put this idea out there. I really don't want to stick my head in the lion's mouth - but...... 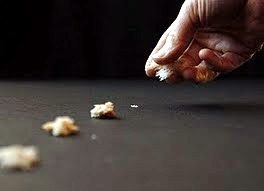 In Shawyer's trail of breadcrumbs I think some of them may be moldy and they need to be eaten with Kosher salt. Those experiments, the modes were not mapped like the NASA one. So I'm not even sure what experimental evidence you're trying to show. By the way, you don't need treat it as anything: an exact solution exists. Treating it that way doesn't make sense to me anyway, because the number one tool for solving for the modes is constraining the E and B fields to certain values at the boundary. I contacted Shawyer & asked him how to calc end plate separation to obtain resonance at the desired external Rf. He provided the information / solution I have shared, which does not match exact solution numbers generated by Dr. Rodal for the same conic frustum dimensions. Shawyers method does however give Flight Thruster resonance, at 3.85GHz, within 1mm of my calculated, from the photos, length. BTW I calc the cutoff wavelength of a circular wave guide, at both ends, at different diameters, operating in TM01 mode, then from those values calc the guide wavelengths, and the values for 1,000 points, at each points diameter and numerically integrate them to obtain frustum electrical length. Precisely what "exact solution numbers generated by" me are not being matched ? The TM212 solution that was verified with the thermal imaging ? Does Shawyer have a different thermal image of the NASA fustrum ? and the thermal image camera from NASA is defective ? Does Shawyer have a method of solution that shows that COMSOL's Finite Element analysis program is wrong ? Shawyer & Chinese conic frustums provide thrust that matches their equations predictions. Can you says the same thing? I thought your / Egan's predictions say no thrust? But there is thrust. Lots of it. So your / Egan's prediction eqations have an issue.